Dyno Plumbing's fully skilled engineers operate throughout the West Midlands offering a 24 hour service and are able to deal with any plumbing issues. All staff are CRB checked and carry identification at all times. At Dyno-Rod we are able to offer a complete plumbing service whether in the domestic, industrial or commercial sectors. Whether fixing dripping taps or installing a brand new bathroom you can rest assured that we will undertake every job in a professional manner ensuring we take care of your property, leaving you completely satisfied at all times. 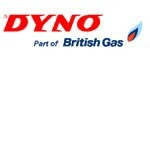 Dyno-Rod Plumbing is part of British Gas so you can be assured that our commitment to health and safety, service delivery and customer service is at the forefront of everything we do.